Occurs mainly in clear rivers or streams with running water and sandy to muddy bottoms. Found in most water bodies, except small creeks, torrents, and shallow swamps. A migratory species. Enters flooded forest. Abundant in the Mekong and in the Nam Ngum Reservoir. Found in the basin-wide tributary of the lower Mekong. Largest individual believed to be in a pool below the Chendoroh Dam in Perah, Malaysia. 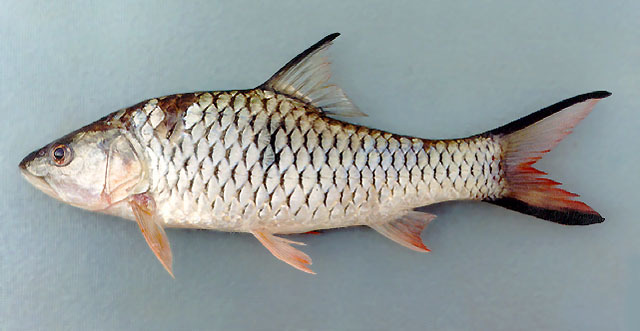 A predatory fish: adults mainly piscivorous in Zoo Negara Lake, Malaysia, but in Saguling Reservoir, West Java, 74 % of the diet consists of aquatic insects. Breeds throughout the rainy season. Good fish though bony. May be made into `Lap pa'. Marketed fresh. Commonly seen in markets; economic important foodfish.